Knowledge is power. 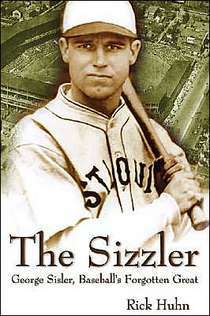 Baseball history affords us the opportunity to gain greats amount of knowledge. If you appreciate the game as an entire institution or just an individual team holds your attention, the information available is endless. Todays book allows fans the ability to learn in-depth about their favorite team. Fans of the Baltimore Orioles have a very valuable tool at their disposal. Whatever morsel of knowledge they want to acquire is now contained in one neat little package. 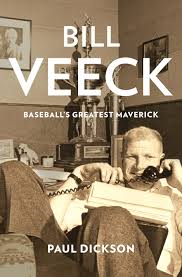 From their roots deep in the transplanted St. Louis Browns, starting play in 1954 as the Baltimore Orioles through the date of the book’s publication, you get it all. Fifty plus years of information rolled in to one neat little 862 page package. Readers get several interesting aspects of the teams history. The book is split into various sections. Seasons, all-time rosters, coaches, managers, ballparks, post season berths, award winners and broadcasters are all covered in here. One of the more interesting sections I found was first round draft choices. You get to see the successes and busts that have come through Baltimore’s farm system. Off the field is fun is not forgotten in this book either. You get some behind the scenes glimpses of what antics went on in the Baltimore locker rooms as well. 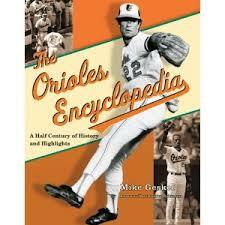 This book is invaluable to Orioles fans that want to complete their team knowledge. There have been several of types of these team encyclopedias published through the years for various teams. I think they are a very important piece in a fans personal library. You get the ability to sit down and browse through the book and relive some great memories of your favorite team. I know by reading through this I came across some players I didn’t even know played for the O’s. The only down side to these types of books is that they need to be updated every few years with new editions. Orioles fans, this should be on your must buy list because it will really be enjoyable to have the information at your finger tips and the ability to re-live some old memories.